Constant accusations. Crazy assumptions. Delusional thinking. 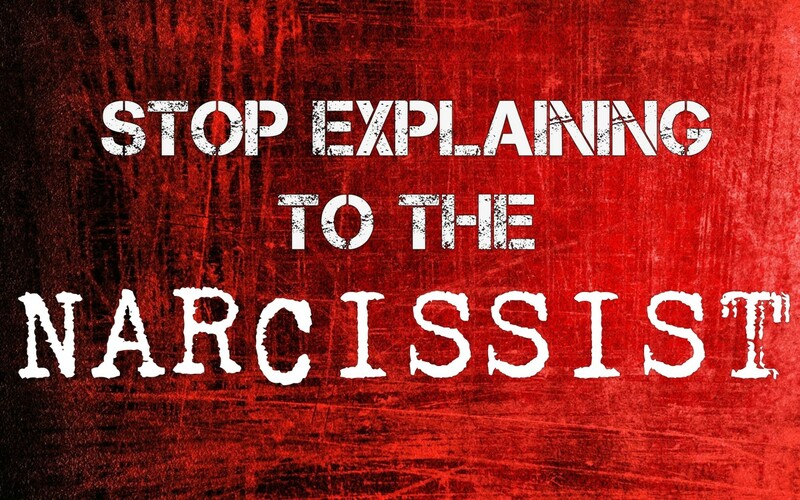 Where does it stop with the narcissist? It doesn't, but there is a way you can stop the insanity. This is something that's easy to talk about but hard to do. 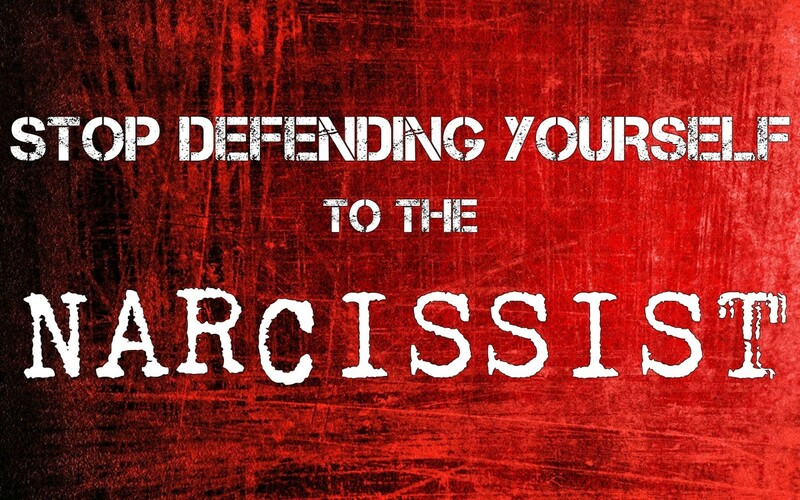 You have to stop defending yourself to the narcissist. Stop defending yourself against things that did not happen. It's hard to do because it's a natural reaction. When someone accuses you of something you didn't do or didn't say, or don't feel, as a rational person, you want to correct that. You want to say "Hey, that's not me. I'm not like that. I didn't do that." If it's something particularly nasty - and with narcissists, it usually is - you are offended and hurt that someone would think that's the kind of person you are. So you become defensive, or even angry. This feels very unfair, and to be perfectly honest, it IS unfair. So you want to right that injustice. Obviously, it must be a misunderstanding, because your behavior shows the complete opposite. You want to line up proof and show it to them. You want to correct their perception of you, and their apparent misunderstanding of your actions and your character. This is all normal, reasonable and logical. The problem is that you are dealing with someone who is not normal, reasonable and logical. If they were, they'd never have "misunderstood" so badly in the first place. Because of that, even though your response is totally natural and justified, it's exactly the wrong thing to do. Why is it the wrong thing to do? Because it's a total waste of time. They're not listening to you. Your denials just make them more sure they're right. After all, if you weren't evil and abusive, you would not be denying it. You would admit you have these feelings, or these motivations, and you'd apologize. Because you keep denying it, it's obvious you are dastardly indeed. b. Because these things can occur together and often do, they believe that while you may not have actually said or done those things, your motive is actually bad. Your feelings for them are bad, which therefore makes everything you do and say bad, regardless of whether it actually is or not. 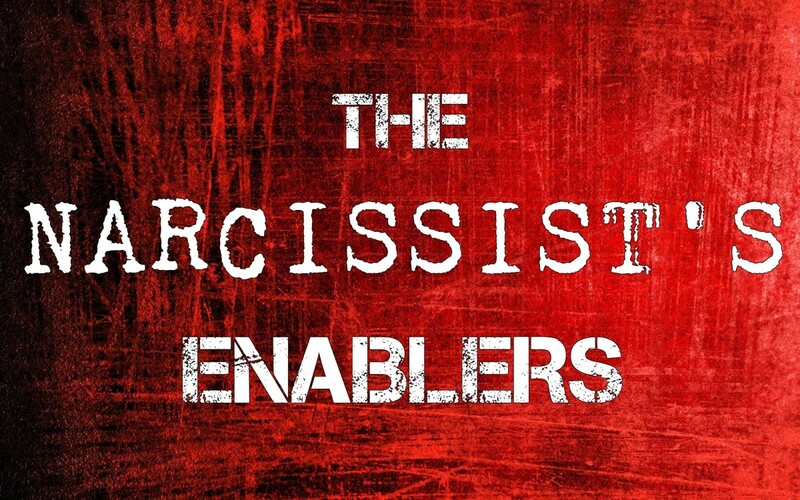 The narcissist may accuse you of calling them names when you didn't, of insulting them when you didn't, of using derogatory phrases or mannerisms that you did not use... the list is really endless. When you really press them on why they are saying these things, it always come down to the same thing: they know you actually didn't but are sure you want to, or would if you could. They are assigning motivations and feelings to you and your actions that do not exist anywhere except inside their own head. As was discussed at length in the previous article, this happens because those are their own feelings about themselves. They are unable to endure these feelings and so they project them on to other people. If these feelings, insults and criticisms are coming from inside themselves, they have no defense against that. It very quickly gets to the point that they cannot bear it. If they cannot take the pressure off, they often even become suicidal or engage in self-harming behaviors. However... if these feelings, insults and criticisms are coming from you, that's a different story, isn't it? They can defend against that. And they do. Instead of being angry and hateful at themselves, they are now angry and hateful at you. You are the problem. It's your behavior and emotions that are wrong, hurtful and evil. "I don't think I'm garbage. You think I'm garbage!" It's a form of affect displacement, an immature scapegoating technique the narcissist uses to protect their mind against the unbearable feelings that overwhelm them all the time. Those feelings have nothing to do with you. 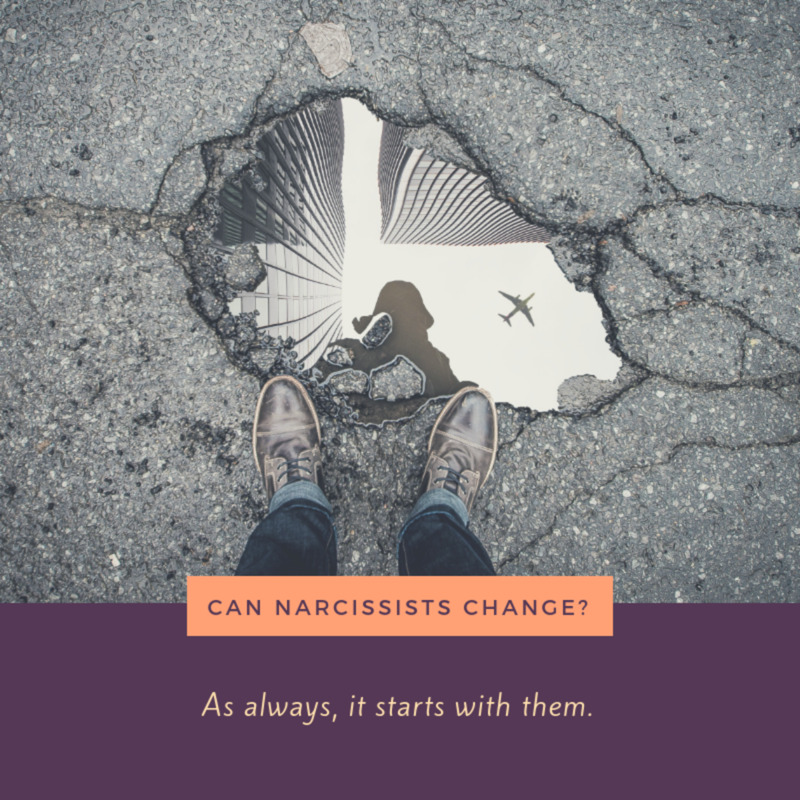 They have to do with how the narcissist feels about themselves, and they existed since before you ever even knew this person. That's the main reason it's a waste of time to defend yourself against their accusations: it's very, very important to the narcissist that these things be true. In fact, in a way you could say their lives depend on it. This is why the more you deny it, the more sure they are that they're right. Remember: narcissists believe feelings are facts. This is not a metaphor and it is not hyperbole. They believe their feelings are actual data that can be relied upon and used as factual proof: "You hate me because I feel that you do. You're jealous of me because I feel that you are." That's all the proof they have, and make no mistake: to them, it is proof. It's more proof than any factual reality you could ever show them. Because they see everything through this lens of their own distorted and negative emotional perception, everything you say and do is given this connotation, and they do believe it. For instance, the narcissist who thinks you are jealous of them will see envy and jealousy in all of your actions, no matter how innocuous or innocent. A co-worker that smiles at them in passing is imagined to be seething with bitterness and hatred because they're so jealous. The narcissist may interpret the smile as a smirk, or read ludicrous meaning into how fast the co-worker walks by. 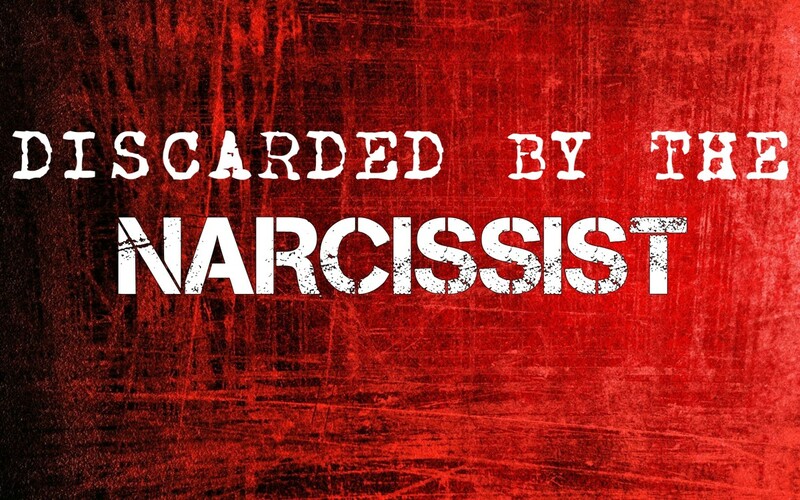 The truth is that the narcissist is jealous of the co-worker. That is where the delusion comes from. It's all projection. "I don't feel this way. You do." 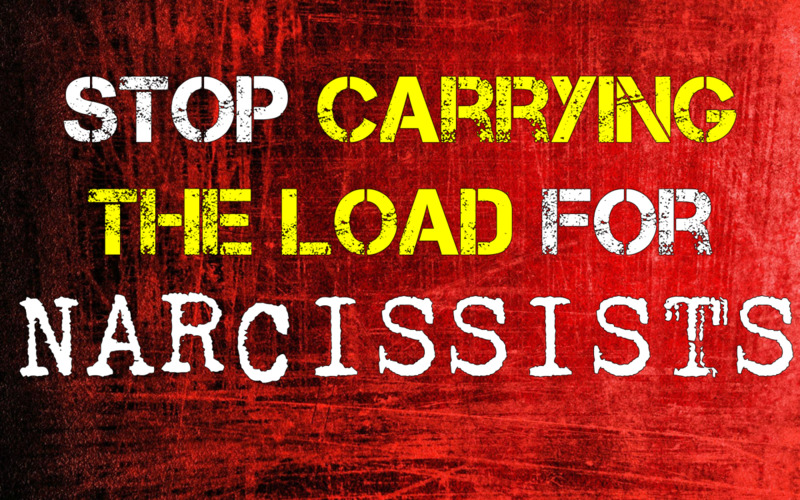 Any feelings that are threatening to them are projected on to other people in an attempt to lighten the stress and load the narcissist is carrying. In a very real way, they need other people for this because their internal landscape, their inner dialogue is so toxic and abusive that they simply cannot carry the burden themselves. They are not equipped to deal with it. They have immature displacement, childish denial, and play-pretend games where they imagine they are somebody else. That's it. That's all they've got. They did not mature enough emotionally to be able to deal with all of these negative, destructive feelings and they don't know what to do about them except try to run away from them. And that's what they do. "I hate me," which is perceived by the narcissist as an indefensible, unbearably painful, toxic and frightening thing, becomes "You hate me" which is perceived by the narcissist as an unfair and painful but manageable thing, which they then nullify even further by telling themselves that you hate them for no reason because you are simply abusive, unfair and evil, and certainly not because of anything to do with them. If these emotions had to be recognized as coming from inside themselves, they could not spin it that way. So they project. "I'm jealous of you," which is perceived by the narcissist as an indefensible, obvious sign of failure and weakness, becomes "You are jealous of me," which is perceived by the narcissist as a sign of strength and success. It's them trying all the time to translate these horrible feelings into something they can handle. That's why it so often happens when they've done something wrong. Most people would not dream of attacking someone else because they themselves did something wrong, but narcissists are wired differently. The self-hatred that rises up inside them during these moments is so overwhelming, they cannot do anything but try to escape it. They only know one way to do that. As you can see, narcissists are very invested on a deep, personal level into the seemingly-crazy and off the wall accusations they make, or beliefs they hold. These things are an integral part of the defense mechanism, and they are not going away. Narcissism as a phenomenon is nothing but a network of defense mechanisms. In it's base form, it is no more and no less. It is a malfunctioning primitive defense mechanism that the brain grew into instead of out of which causes them to take any criticism, real or imagined, and amplify it, overreact to it and run from it. If this seems pathetic or childish to you, it should. It is literally an adult version of, "I know you are, but what am I?" This is what you are dealing with. This is why it's a waste of time to defend yourself against these accusations. It's too important that the narcissist believes these things. If they can't believe you are the bad guy, then they are going to have to believe it's themselves. And they cannot take that. You might say, "Why does there have to be a bad guy at all?" and the answer is, because that's just the way it is. It's how they are wired. Somebody has to be the bad guy. It's either going to be you or it's going to be them, and since when it's them, that can lead to suicide... it's going to be you. That's why they argue so hard and seem to believe these delusional things so absolutely. Their life is depending on it. Their supposed cleverness at spinning things is really just desperation. However far they have to reach and twist and turn things so that it is not their fault, that's what they will do. Now that you know all that, what do you need to do? Stop defending yourself. Do not try to defend yourself, excuse yourself, reason or rationalize with this behavior. It won't work. You must do what you do with a child that is having a temper tantrum. You must ignore it. It isn't easy but it gets easier once you get the hang of it. 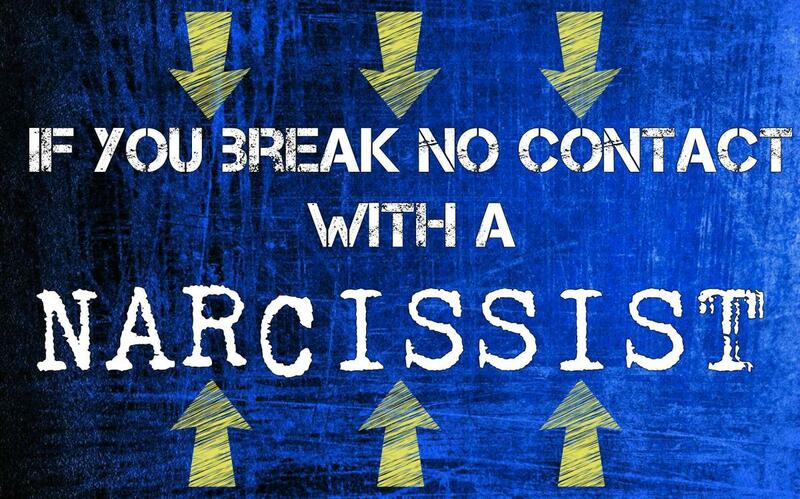 The narcissist's goal is to get the focus off of themselves at any cost. To that end, they will try to get your goat, provoke you, upset you and do whatever they can so that you become emotional and lose sight of the conversation. Side tracking the conversation like this makes them feel less vulnerable and again, it makes you the focus of all of their bad feelings. It also puts you on the defensive, which means they are in the driver's seat and they can steer the conversation away from all of the things they find threatening that they don't want to talk about. So don't let them. The best thing you can do with these crazy accusations is ignore them. Again, stop defending yourself against things that did not happen. Stop trying to prove you are a good person worthy of respect and decency to a person who does not know what these things are. If you respond to their accusations, you are giving the accusations power. You are validating the accusations by responding at all, thereby ensuring that it will be brought up again and again because the narcissist can see it clearly got to you. All you are doing is giving the narcissist more ammunition with which to attack you with every explanation, defense and denial, so just stop doing it. It's only words. If the narcissist chooses to believe you are some terrible person doing terrible things, that's their problem. It's not true, so who cares what a person thinks that can't see the truth when it's staring them in the face? God knows that 9 times out of ten when the switch flips and they're the nice personality again, they'll be singing a different tune anyway. This is all based on irrational emotions that have nothing to do with you, and there's nothing you can do about it. You have to just let it go. There is no way you can defend yourself to the narcissist so that they will believe you. Have you ever been able to? No. That's because they don't want to believe you. It isn't about you. It's about themselves. In order to believe you, they'd have to sacrifice themselves and they aren't going to do that. They can't. All you are is a scapegoat. You're a container for the feelings they cannot carry. You as a person don't matter. They don't care how it affects you, how you feel or who you really are. It really, truly does not matter to them at all. You can continue to defend yourself if you like, but why waste your time doing something when the results are absolutely no different than if you'd never done it in the first place? If you ran 10 miles a day for a year to get healthy, but saw no health benefits at all and didn't lose even 1 pound, would you keep running 10 miles a day anyway? Of course not. Why waste all that time and expend all that energy for nothing? That's what you're doing with the narcissist: running 10 miles a day for nothing, except this situation is worse because in this situation, you're running 10 miles a day and the narcissist is the one getting the benefit. Stop killing yourself so someone else can live happy. It's not your responsibility. Their feelings are their problem and their responsibility. You don't have to defend yourself and it's pointless anyway. Simply don't react to the accusations at all. The correct response is no response. YOU: Are you going to pick up the kids or should I? NARCISSIST: Maybe you should do it. After all, we all know what an embarrassment you think I am. YOU: I really need to know if you're going to do it, because I have an appointment at 6:00. The response of course may vary but the point is that there was absolutely no acknowledgment of the crazy emotional accusation. It may be repeated, or it may not. If it is, continue to ignore it. Be polite, be pleasant and ignore every attempt to put you on the defensive. 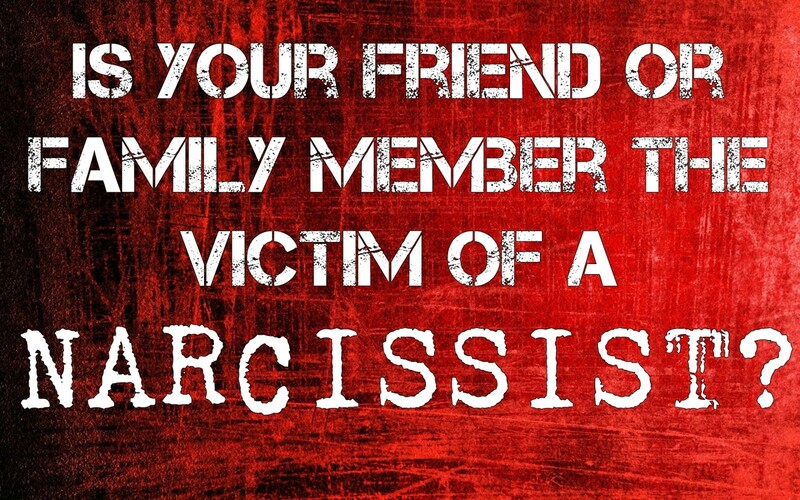 Some of you might say that the narcissist in your life will respond badly to this type of non-reaction. Well, they all do. It takes away one of their most potent weapons and worse, it forces them to hold those terrifying feelings alone. If they can't create a situation where they are "defending themselves" from your "abuse," they have to face these feelings for what they actually are. Their bad reaction is not a reason to keep feeding into this cycle. They're going to react abusively and maliciously no matter what you do, regardless. If you fear for your safety, leave or call the police. But stop defending yourself against things that you didn't do, words you didn't say and feelings you don't have. It's a losing battle that you will never win and every time you do it, you sell another piece of yourself out to a person who does not care enough about you to even listen. If the narcissist chooses to have these feelings and opinions about you despite reality proving otherwise, there's nothing you can do about it anyway. My Step-Dad is a Narcissist and he flips from good moods to bad moods. Because of the position he holds as my legal gardian, he has a lot of control over me and could easily ruin any chance of my financial well being when I turn 18, so I have to play into everything he says. Every projection onto me I have to play into and finesse so that he has all the power, I have less than no power, and he has emotionally crushed me in every way, (wether true or not), that is the only way it can briefly stop. you will never regret contacting them. Very accurate description of how arguments and fights with narcs develop. Example from my own experience: my ex narc gf would accuse me of having had it on with one of her friends I knew before I met her. This simply was not true but she insisted and would bring it up all the time although it always ended up ugly and upsetting. She seemed to draw a sadistic pleasure out of me getting irritated at the accusation and looking back I think she desperately wanted to believe that I had screwed her friend. Like the communist secret services she would insist in her interrogation and offer a kind of false amnesty if only i admitted that I had done it. It drove me mad. It was one of the first major red flags that this woman was poisonous. It registered within me but I did not break it there and then. In hindsight I should have done: run away or kick her out of my life. But complicated neurotics that we are, we fall prey to our own indecisions and to the narcissists' 'good sides' and drag along hoping some day they will see, know and change. Why the hell would she stubbornly insist in a delusional fantasy of me and her friend? Because she was capable of actually doing all sorts of sexual misdemeanor herself. I suspected back then and I am certain of it now that she was projecting her own intentions and behaviour onto me. Arguments would spin out of control and something trivial would turn into a conflict which would take 2-3 hours of debates and words. Thanks for the article, it helps to know we are not alone in our struggles with narcissistic partners.